“I saw Seanie play a couple of times for Cork and he didn’t play well"
Republic of Ireland manager Martin O'Neill is not one to heap praise on his players. The logic behind it - he claims - is wrapped up in not putting too much pressure on them. That is understandable when it comes to speaking about some of the fresh faces in his squad. 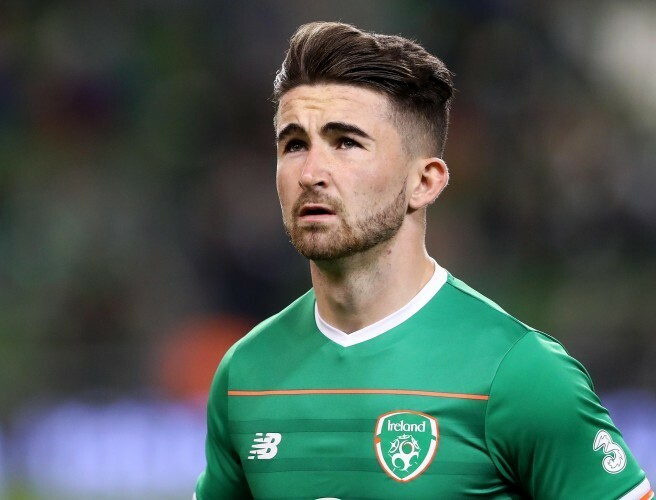 Seanie Maguire continues to impress after a string of fine performances for his club in recent weeks. The former Cork City striker could lead the line for the Boys in Green for this week's friendly away in Turkey. Maguire netted his seventh goal in as many matches for Preston North End as they beat Sunderland 2-0 on St Patrick's Day. In an interview with the FAI's LOI podcast, the Republic of Ireland manager opted to keep his praise of Maguire to a minimum. He instead wheeled out a well worn anecdote about how every time he watched Maguire play for Cork, he had a stinker. He relays that tale far more than he does the story of himself and Roy Keane watching as Maguire scored a hat-trick against Dundalk last season. After questions about his decision not to consider players who ply their trade in Ireland, O’Neill finally admitted that Maguire was indeed a talented striker: “I saw Seanie play a couple of times for Cork and he didn’t play well, I don’t think he got the move then because I saw the games. “It doesn’t matter I can see some players play badly in any particular game, the first time I saw Jeff Hendrick play I thought ‘I’m not so sure’. “People can grow on you when you see players a lot, I’m based in England and I see players a lot, I got to a lot of games. “I’ve got a good scouting system, Roy goes to matches, Seamus McDonagh’s goes to game covers the goalkeepers. “We’ve got Steve Walford and Steve Guppy but I like to make a judgement myself on players, hence me choosing the particular players I do. “Seanie is now showing that he can score goals, he's got a bit of something. Which I have said to him, he's got something. He is still a long way away. You can listen to the full interview on Soundcloud.